Uh-oh! That’s not a valid e-mail. We put together a list of the 11 most important reasons why investing in product design should be a top priority for all businesses. React Native vs Ionic vs Native: What’s best for my mobile app? We prepared this guide that covers the alternatives you have when building a mobile app, with the main pros and cons of each option. Learn how to build a Progressive Web App with React and Next.JS using modern tools and techniques. Select what you want and you’ll get them right on your email. For free! Improving your web's accessibility? Make sure you're doing it right. Have a clear idea of the budget you'll require to carry out a mobile project. Start working with the Flexbox & Grids technique right now. We’re pretty big on Medium, too. 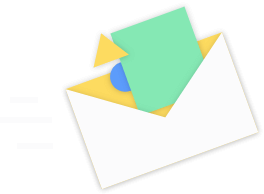 Get real design and development insights on your email once a month. One or more fields are missing. !Uh-oh! That’s not a valid e-mail.